It’s been a while and since then Luffy has grown and so should you. Here are 5 more things you can learn from Monkey D. Luffy. 3 years ago when I wrote part 1 of this I wasn’t at the point of One Piece where I seen Luffy lose at all. In fact everything Luffy gambled on he won. I’m not sure if Luffy got cocky at all but the higher the stakes became the more reckless Luffy became. After his brother Ace was captured and imprisoned Luffy broke into the Impel Down prison to save Ace which was one of the dumbest decisions Luffy ever made. I don’t fault him for it. They want to execute his brother and he wants to save him by any means. Luffy took 2 humbling L’s during his visit to Impel Down. This is where as a viewer you realized the power level difference between Luffy and the opponents he would have to encounter in the New world. Those losses were meant to happen. Everybody takes an L. It’s inevitable. Some may be your fault and some may not be but you’re going to have to live with that L. You can either accept it and grow from it or you can pack it in and give up. 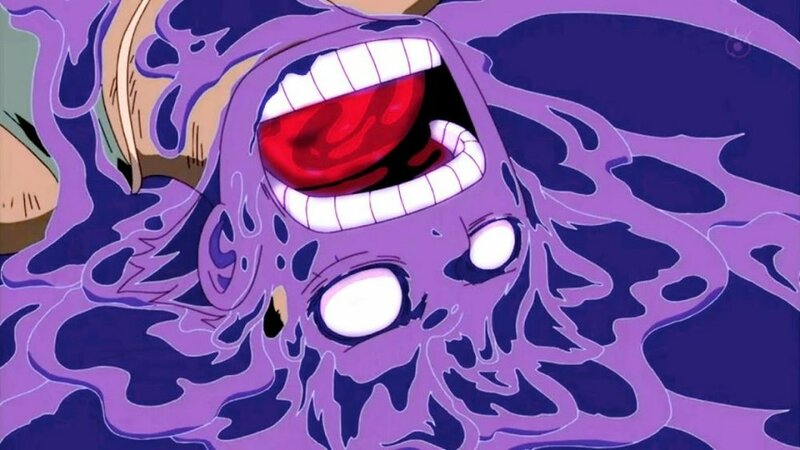 After another loss at the Marineford War which made it 3 losses in a row Luffy for the first time in the series lost his mind. Luffy is the epitome of carefree optimism and for the first time you seen him doubt himself. He doubted his dream. He questioned the reason he was trying to achieve greatness. He felt worthless. All Luffy would do is scream and cry. He just wasn’t the same hero. The man everyone looked up to was a shell of himself and had given up. Luckily Jinbe was there to pick him up and tell him he a bad mothafucka and he can’t quit. He couldn’t see Luffy go out like this. The breakdown is the hardest part because you can have people who actually care for you tell you great things about yourself that are true and actually are there for you but you can’t see it nor do you want to hear it because of the weight of the breakdown has on your spirit. It breaks your spirit into pieces and you have no idea what sanity is anymore. You have to put the pieces back together and take your life back. Hopefully you’ll have help from friends like Luffy did. After a tour of losses and a mental breakdown, Luffy realized he was one of the bottom tier pirates in the New World. He experienced first hand that he’s not good enough. It was proven to him over and over again. Instead of reuniting with his pirate crew he told them he’d meet up with them in 2 years. Luffy dedicated 2 years to becoming stronger and stepping away from the pirate world. He trained with Rayleigh who was a legendary pirate and has done almost everything Luffy aspires to do. I like that Luffy took 2 years away from the seas for 2 reasons. First reason I liked it was that Luffy had self awareness. He didn’t lie to himself and blindly continue his adventure. He understood that his opponents were out of his league, and that he was weak. The second reason I liked it was because Luffy understood the importance of resetting and taking your time. He knew the adventure wasn’t going anywhere. The seas will be there when he gets back. The same goes for you. If you have a creative block and nothing you’re creating is good to you. Take some time away from creating. Go learn new things, experience new things, see new things and come back to the drawing board. Take your time getting back into the groove of things. Luffy wants to be King Of The Pirates. A very tall order. In his world some would say it’s impossible but Luffy doesn’t see it that way. Luffy knows he can’t achieve this alone which is why he’s come so far. He tells his crew that he can’t do it without them. He told Sanji that becoming King would be impossible if sang wasn’t by his side. Sanji believes that. As much as we want to go at it alone we’ll always need a team. We’ll always need to be on the same page with other people so we can achieve our goals. I can’t have a podcast without Moe or Cue. I’m sure they feel the same way. Trying to build an empire on your own isn’t impossible but you’ll definitely do a lot of unnecessary lifting that can be avoided if you just build a team and trust in them. Luffy is currently fighting Katakuri. A pirate who has never lost. A pirate whose back has never touched the ground. He’s that formidable. Luffy is losing but Luffy is learning about his abilities while fighting this dangerous man. Luffy is taking risks by experimenting with his abilities during the fight and he’s paying for it in blood but he’s growing in the process. He’s learning on the job. Sometimes you just gotta jump in the fire and make mistakes. Sometimes that’s the best way and only way to learn. Learn on the job so the next job can be easier.